Save SAR 0 (0%) Earn 5 Shukrans What is Shukran? Shukran is the Landmark Group’s award-winning loyalty programme in the Middle East, which allows you to earn Shukrans when you shop any of our brands. 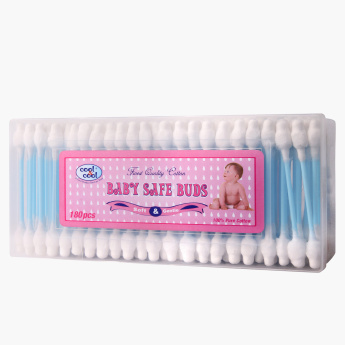 Gently clean your little angel's ears without fear with the help of this set of buds. The easy-to-use design and pure organic material make sure your darling's delicate skin is protected from discomfort. Feature 2 : . Made from 100% Organic cotton.